When a Cincinnati radio station switches from sedate music to top-40 rock 'n' roll, its staff of oddball characters is forced to switch gears quickly. New programming director Andy Travis brings in a new DJ named Venus Flytrap to work with the station's burned-out veteran, Dr. Johnny Fever. 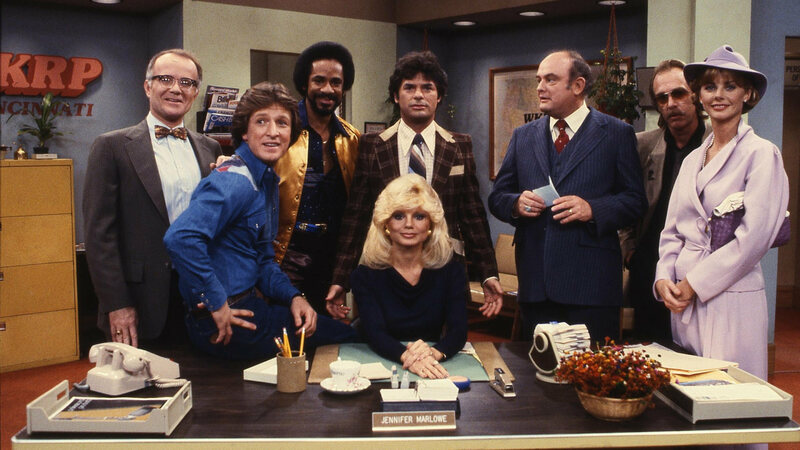 Neurotic newsman Les Nessman, eager beaver Bailey Quarters, sleazy salesman Herb Tarlek, blonde bombshell Jennifer Marlowe, who serves as the station's ultra-capable receptionist, and station manager Arthur Carlson, whose domineering mother owns WKRP, round out the eccentric bunch. Feeling left out at the station, Mr. Carlson comes up with a top-secret Thanksgiving promotion involving twenty live turkeys. Andy starts taking Mama Carlson out after hours in the hopes of getting her to pay for a new transmitter for the station. But he begins to suspect that she might have more-than-businesslike expectations of him. #3 - Who's on First? 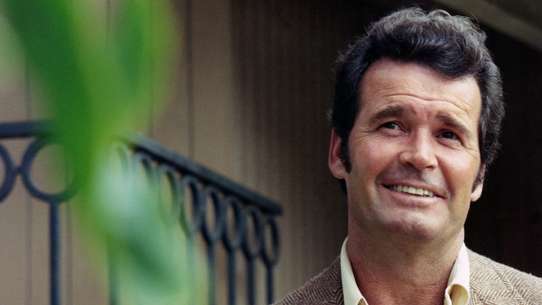 With Herb in the hospital, Mr. Carlson pretends he is Herb and is impersonated by Les for an advertising client. The staff sings a radio ad for a chain of funeral homes. At a concert by the Who in Cincinnati on December 3, 1979, eleven kids were trampled to death when the crowd rushed to get seats. The first part of this episode takes place before that concert; the second act takes place the day after, and presents the characters' reactions to the tragedy. When Johnny receives $24,000 in a legal settlement, Venus convinces him to use the money to invest in a condominium at Gone With the Wind Estates. Jennifer tells her friends that she has nothing special planned for Christmas, and that she doesn't have a tree this year. Everyone begins to suspect that she might be alone for the holidays. Herb sells ad spots to a seller of "diet pills"; after it turns out that the pills are a legalized way of selling speed to teenagers, it also turns out that the station can't legally get out of running the ads. On a day when the furnace has broken down, Mama Carlson pays a surprise visit to the station and catches Johnny drinking in the broadcast booth. Everyone starts bickering after the station loses a broadcasting award. 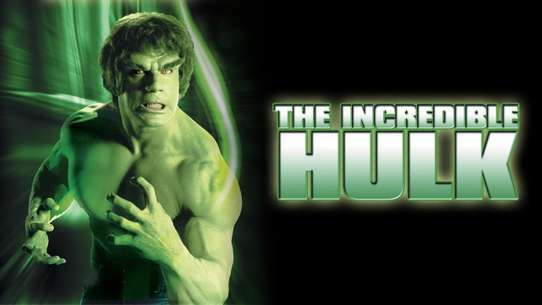 Andy is unable to warn Johnny and Venus when he realizes that the bomb is at the transmitter. 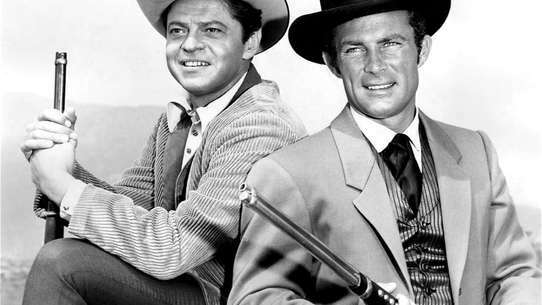 After the station receives a bomb threat, Andy sends Johnny and Venus to broadcast from the transmitter tower while the station is being searched. 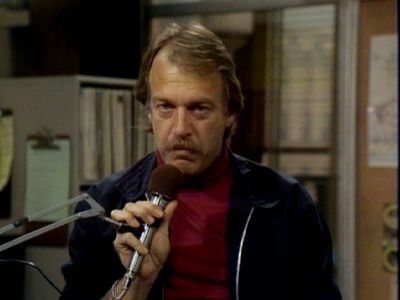 Andy Travis, a young program director from Santa Fe, takes over at Cincinnati radio station WKRP and changes the format to rock and roll. Andy arranges for the station to sponsor a concert by a rowdy English rock group. 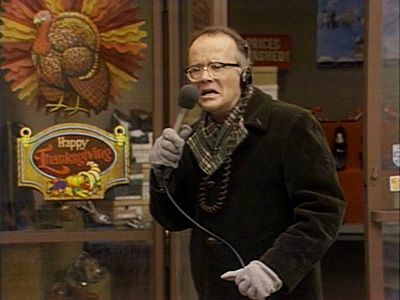 Just as WKRP hits #6 in the ratings, Mama Carlson announces that she plans to switch the format of the station to 24 hours a day of news. The station's cleaning woman asks Venus to convince her big, tough teenage son not to drop out of school. 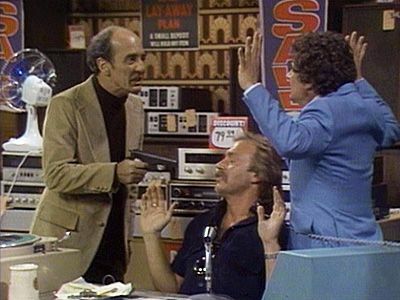 During a live remote from Del's Stereo and Sound, an unemployed DJ shows up with a gun and hijacks the broadcast. 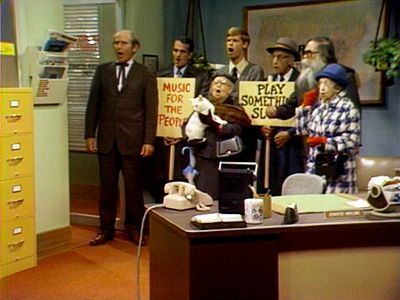 While Andy tries to come up with a publicity stunt to get the station in the news, a group of irate former listeners demands a return to the old format. 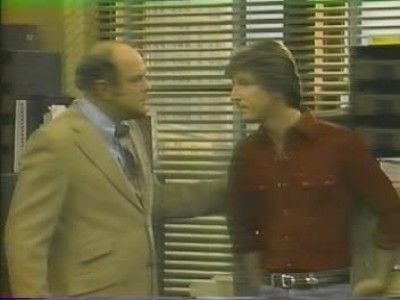 Johnny returns to WKRP after being fired in L.A., but he has to settle for the late-night graveyard shift. When hot-blooded Les wins an award, he asks Jennifer to be his date for the banquet. 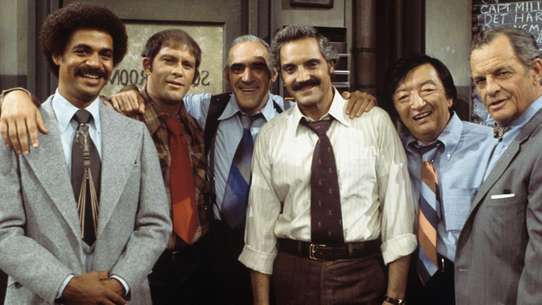 The staff of WKRP considers joining a union. Mr. Carlson is furious and rushes to his mother for advice, while Andy tries to appear neutral in this labor-management conflict. 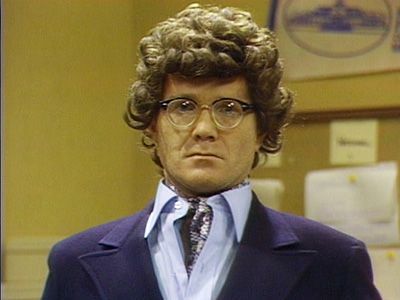 When WKRP needs an assistant news reporter, Bailey applies for the job and gets it. Les, who doesn't want to work with anyone, least of all a woman, tries to keep Bailey from going on the air. Venus is offered a job as program director of WREQ radio, but is disillusioned when he discovers how the station is run and why they want to hire him. Meanwhile, Herb circulates a rumor that he, too, has received a job offer. 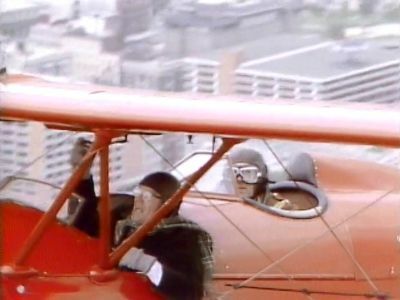 Trying to compete with WPIG's traffic helicopter, Les starts doing traffic reports from a World War I biplane piloted by a crazy war veteran. 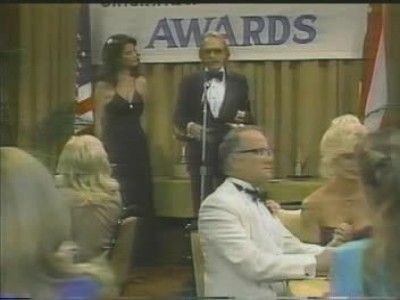 The new ratings book arrives, and WKRP has climbed from 16th to 14th place in the Cincinnati market. Everyone is happy about the gain except Andy, who knows that the station has not improved enough, in part because of his own unwillingness to fire incompetent employees like Herb and Les.